Happy new year, amici! After ending the year with a crash and a bang (beware the walking mixer), I’m back to baking safely. In fact, I enjoyed the chocolate almond bundt cake I baked last week so much I wanted to try to come up with a straight up almond version. Here’s last week’s model–look how pretty. My only modifications were to use two teaspoons of almond extract instead of just one, and to use powdered buttermilk. In fact, two of my tasters thought the cake had Amaretto in it! I made my own frosting, too. A new week and a snowy day felt like the right time to make an almond version. I really liked the texture of last week’s cake. But how to make it just as delicious and ultra almond-y? 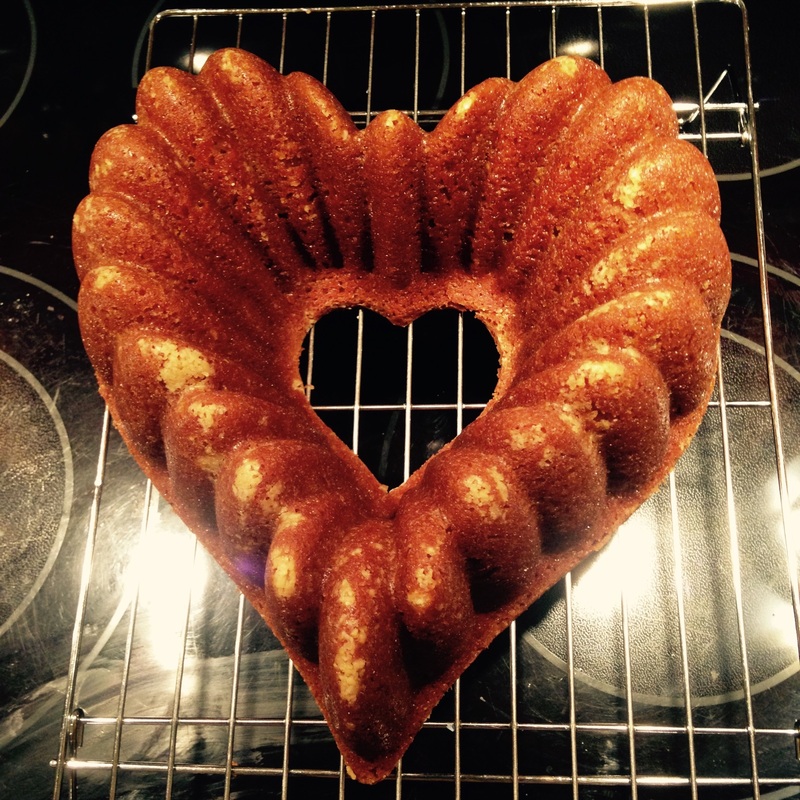 I kept the extra almond extract and swapped out the cocoa powder for almond flour. 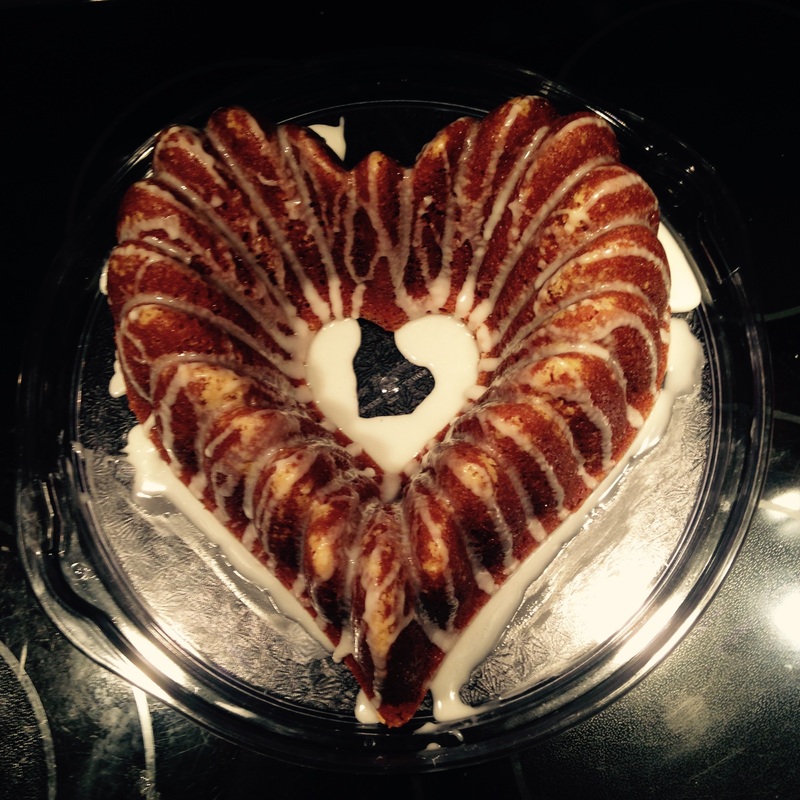 I also cut back the sugar ever so slightly and made cake release with almond flour. Are you ready? Put on your dancin’ shoes and let’s bake! First, you’ll want to paint your pan. 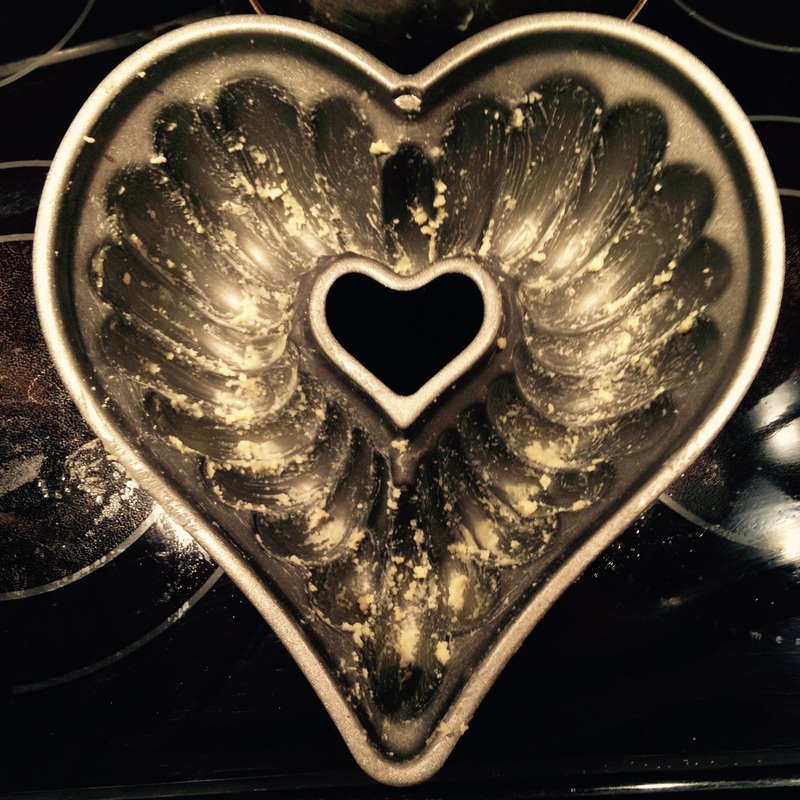 Melt one tablespoon of butter, then stir in one tablespoon of almond flour. Yes, it’s not as smooth as regular flour, but that’s OK. It’s going to give an extra nice bit of texture to the outside of the cake. Paint your bundt pan with a pastry brush. Then, because the almond flour will clump a bit, simply smooth it out with your finger. Preheat your oven to 350° F. Now, let’s make the batter. *If you prefer to use real buttermilk, use a cup of it in place of the water and omit the powdered buttermilk. In your mixer, cream the butter and sugar. Add eggs, one at a time, beat well and scrape down the bowl after each addition. Add sour cream and extracts; mix well. Combine flour, almond flour, powdered buttermilk, baking soda and salt. Alternate adding dry ingredients and water to the creamed mixture; beat well after each addition. 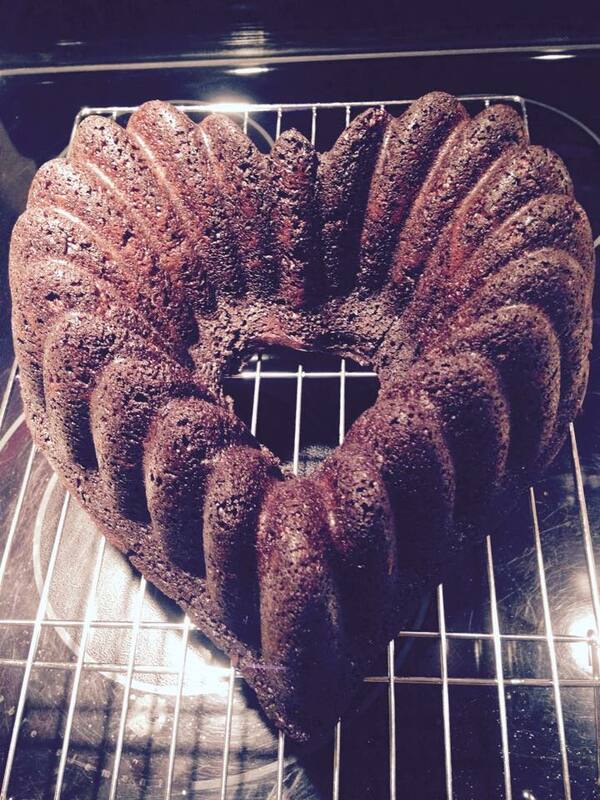 Pour into a greased 10-inch bundt pan. Bake at 350° F for 50-55 minutes (definitely just 50 minutes in my oven) or till a toothpick inserted near the center comes out clean. Cool for 15 minutes before inverting onto a wire rack to cool completely before you glaze. 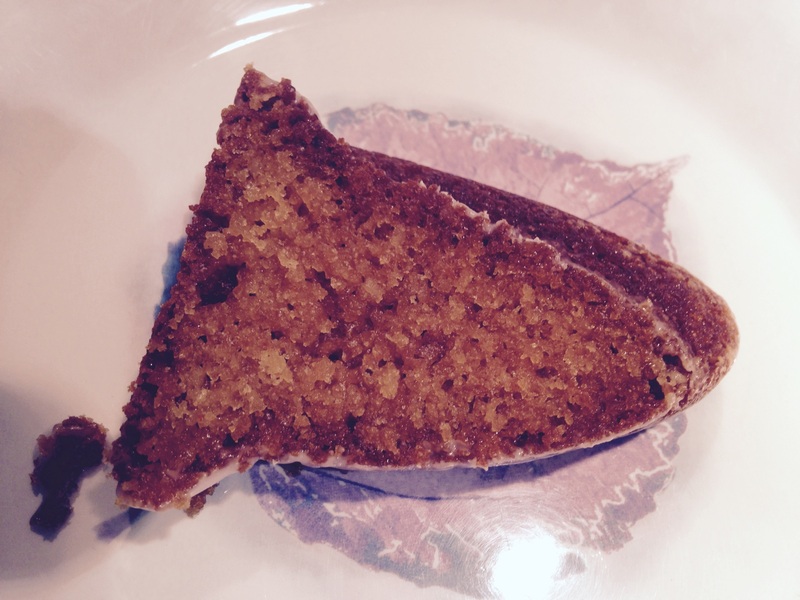 See the lighter spots where the almond flour in the cake release has made an appearance? Drizzle over the cooled cake. For the sake of fanciness, you might want to drizzle the glaze while the cake is still on the wire rack, then move the cake to its final destination. But if you don’t mind extra pools of glaze, you, too, can do as I do. 🙂 Slice. Enjoy! Sort of looks like a rocket to blast off into the land of good taste and happy feet, yes?